Cozy Mystery Fan Looking for Something Different? Try Texas! 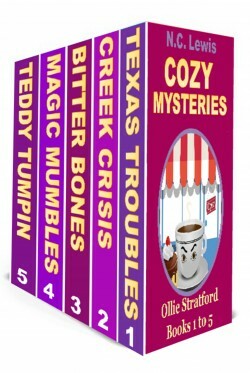 Grab this Cozy Mystery five Book Box Set from Author N.C. Lewis’s popular Ollie Stratford Cozy Mysteries series. Enjoy hour upon hour of good, clean, humorous, reading with characters you will grow to love! And all for only 99 pennies.